or having a plan come together! 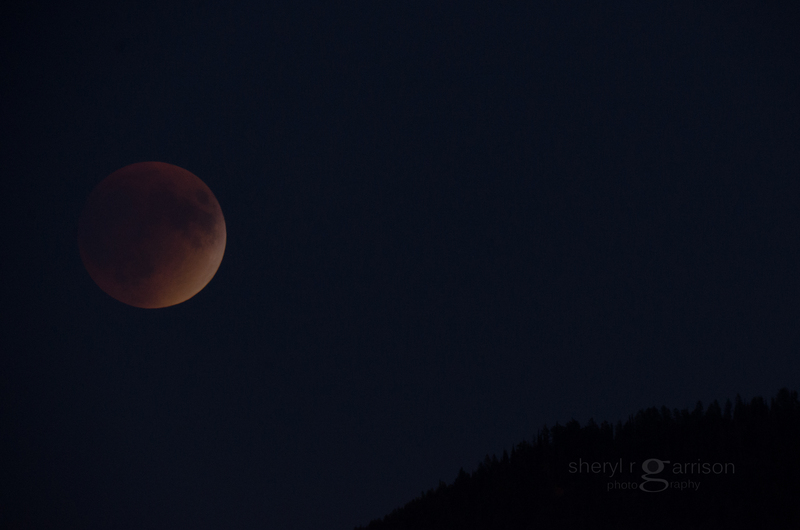 On this special eclipse night, the fourth eclipse in a tetra, I wanted to do something more than just photograph a large frame filling blood moon. I kept being drawn to the idea of photographing the stars AND having a full moon in the shot. It just doesn’t happen very often that you can see the full moon and not have the stars washed out by its glow. I also knew that at 8:11 there would be an iridium flare visible for a brief moment. Not a very bright one but having shot these before I hoped that it would be bright enough. Could I capture this trifecta? A great deal of planning needed to take place. First there was scouting out a location and figuring out where each element would be at that one moment necessary to capture all three. For this I turned to a wonderful ap called Photopills. It gave me all of the tools necessary to plot the placement of the moon and the milky way in relation to the direction and elevation of the flare. Taking some test shots showed me that shooting at 11 mm on my wide angle lens should just barely squeeze these three elements into the shot. What settings I would be using needed to be decided close to the time of the shot as I really did not know how much light would be present. The one thing that I was certain of was that I would have one shot, just one frame, to get this. The girl likes a challenge though and certainly I filled my time before and after with capturing the beauty of this extra large moon, the likes of which will not occur again until 2033, as it rose behind the mountains, already partially eclipsed. 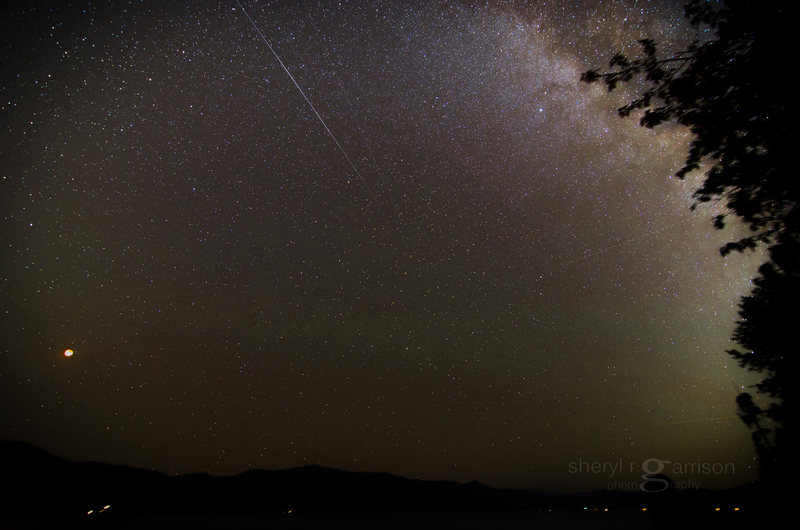 It was a beautiful night, with perfect weather and even a shooting star that exploded during a test shot. How lucky can one girl be? Or is luck when opportunity and planning come together…you be the judge! More images can be viewed in the gallery idaho after dark by clicking on this link to my website. you’re missing out on the unexpected. I think if you shoot a variety of subject matter you get pretty accustomed to quickly dialing in your settings. For the situations that I am not as familiar with, the ones that require more complex settings, I make use of the Nikon D7000’s two user defined spots on the operation mode dial. This enables me to get a very quick starting point for shooting a scene without having to adjust multiple settings first. I’m fortunate to have friends that tolerate my obsession with imagery and ignore my third arm…the tripod…that accompanies me most everywhere. 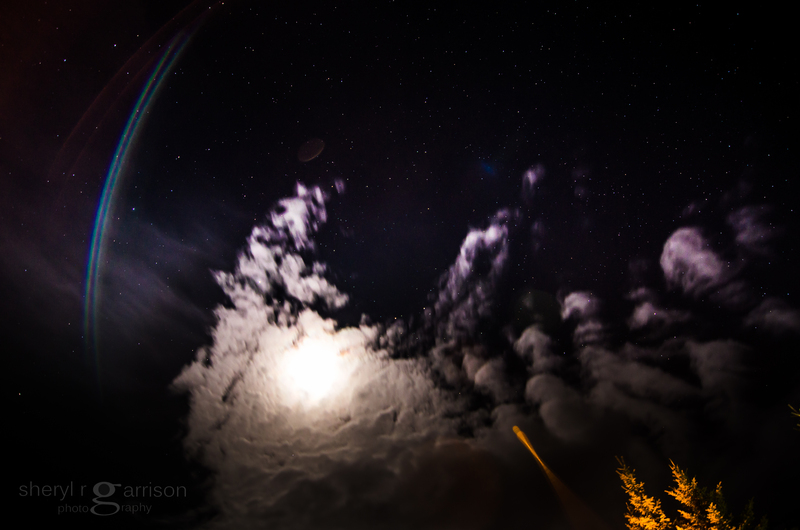 In this particular case we were on a girl’s night up at the mountain and hanging alfresco in the hot tub when I saw the moon slip behind some interesting looking clouds. I might add that it is a little chilly in the mountains of Idaho in March so I was grateful to not have to spend any more time than necessary adjusting my settings! I think we all have a pretty good idea of what we’re going to be shooting when heading out but for me I always find a little magic in those times when opportunity jumps in when my plans get shot down.